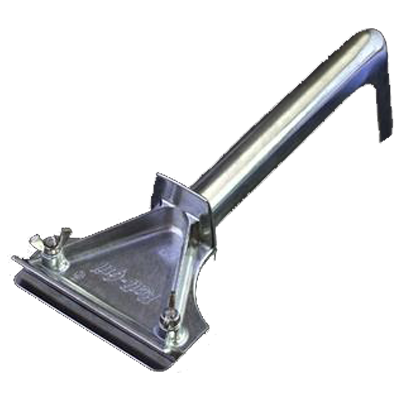 Our modified mini head (4.5″) heavy duty scraper is perfect for smaller spaces, but delivers the safety and ease of a longer handle scraper. The stainless steel blade can stand up to any grill cleaning task, scraping but not scoring the grill. Easy to use and wash, our mini head Heavy Duty handle is perfect for food trucks, portable kitchens, and small grills.